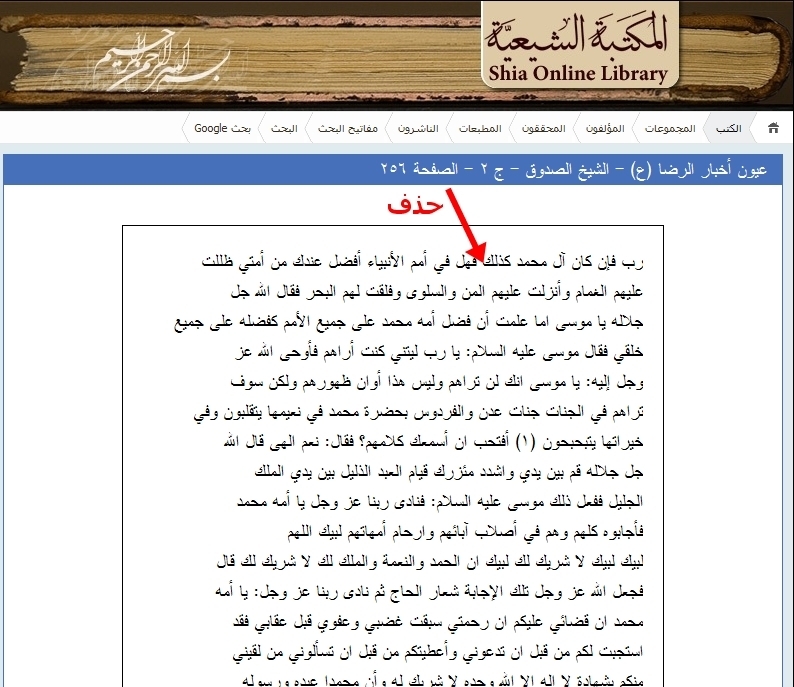 Before we have posted research by shia Nader Zaveri regarding tafsir which is attributed to Imam al-Askari. 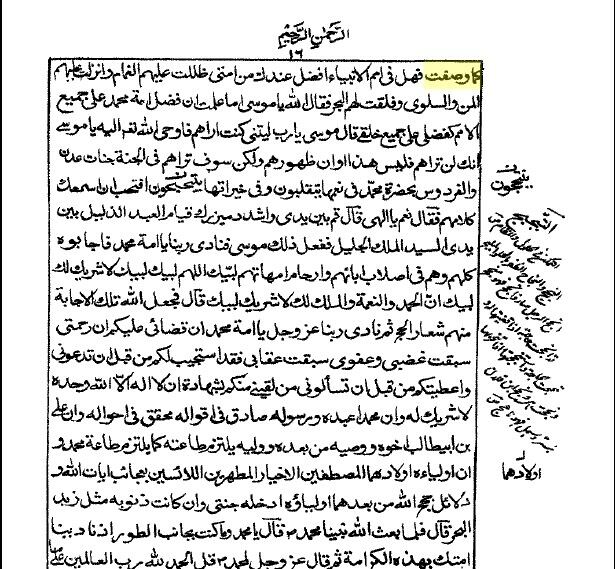 In this tafsir at page 31-32, you can find qudsi hadith, which describes talk which took place between Allah and Mosa (alaihi salam). 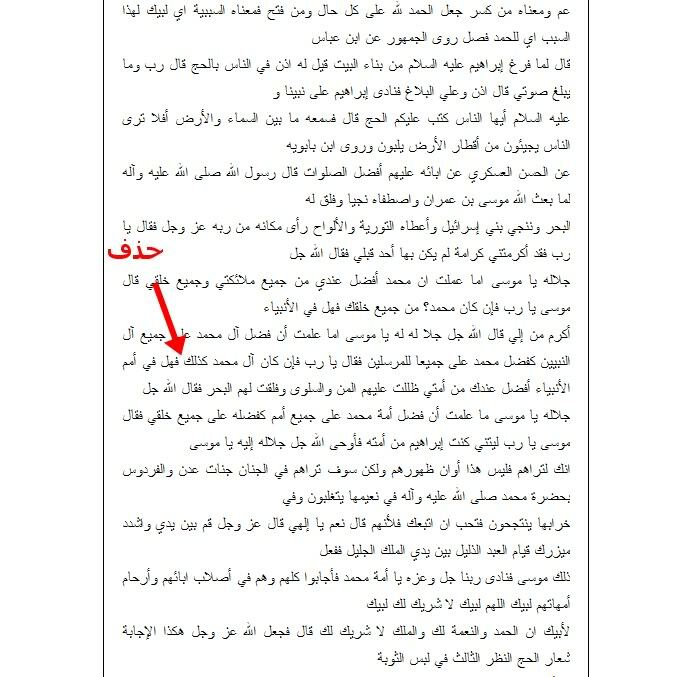 O Mosa, don’t you know that superiority of family of Muhammad upon families of all prophets like superiority of Muhammad upon all messengers? (Mosa asked) O Lord, and if family of Muhammad like You said, is there between companions of messengers more honourable (with You) than my companions? 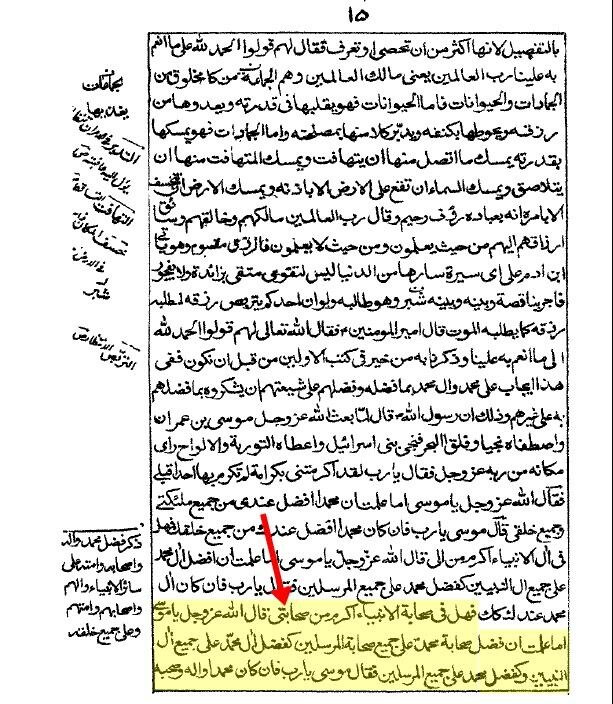 Allah Azwajal said: O Mosa! Don’t you know that superiority of companions of Muhammad (alaihi wa ali) upon companions of other messengers like superiority of family of Muhammad upon all families of prophets and (like) superiority of Muhammad upon all other prophets? And Mosa said: O Lord! And if Muhammad, his family and companions as You described then is there between nations of messengers better nation that my? 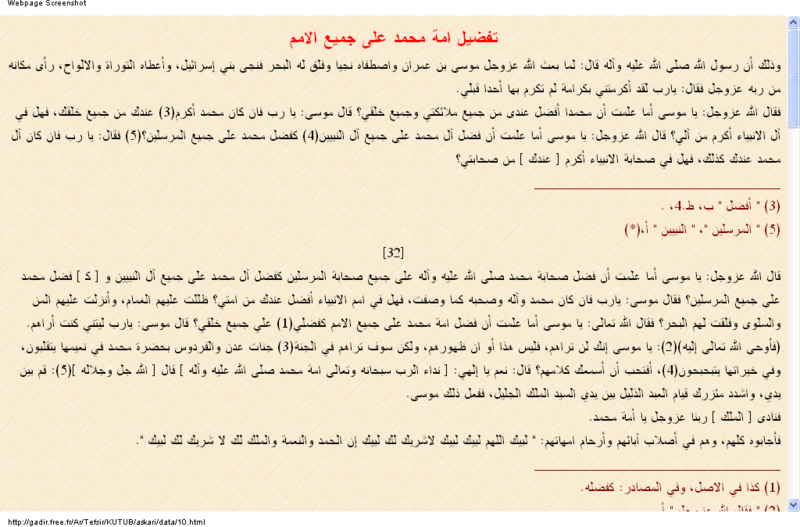 Shaykh of shia Saduq narrated this report from the way of Imam Hasan al-Askari from his fathers in two of his books. And Allah Jalla Jalalahu said: O Mosa, don’t you know that superiority of family of Muhammad upon families of all prophets like superiority of Muhammad upon all messengers? (Mosa asked) O Lord, and if family of Muhammad like You said (OMISSION) is there between nations of messengers better nation that my? Part about companions again omitted. 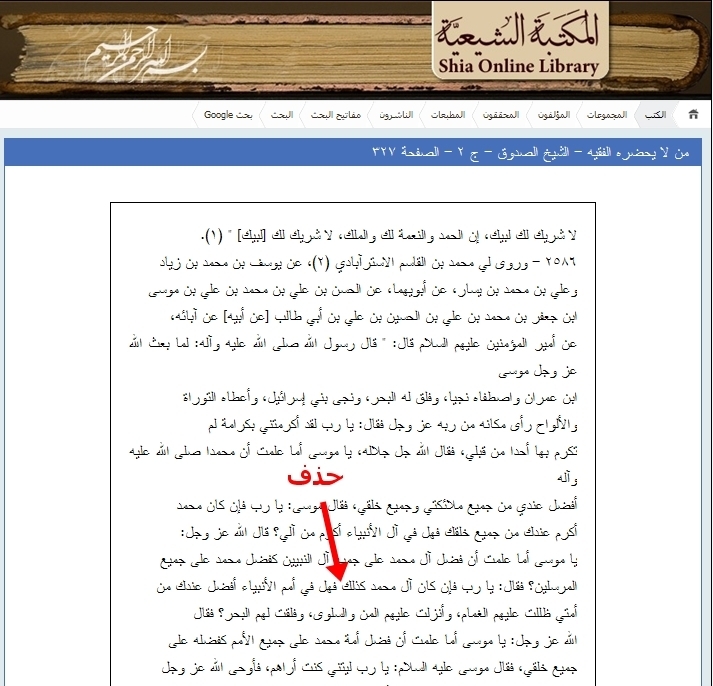 This entry was posted in Alteration of Shia texts by Gift2Shias. Bookmark the permalink.